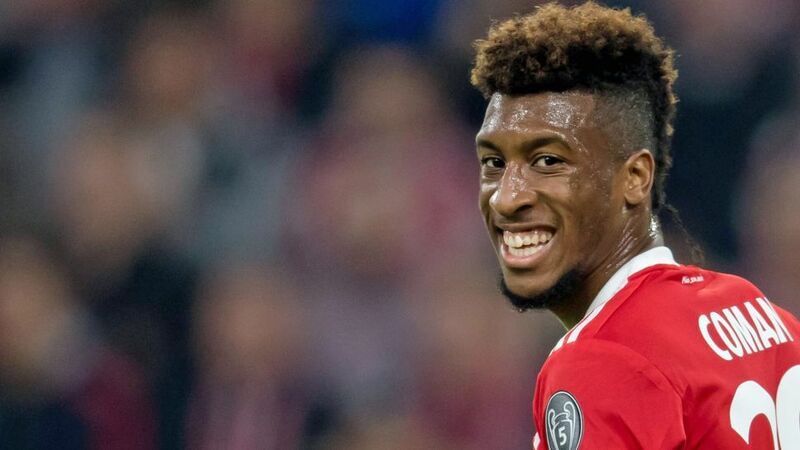 Bundesliga | Bayern Munich's Kingsley Coman: "We know we can play even better"
Bayern Munich's Kingsley Coman: "We know we can play even better"
With one goal and two assists in his last three competitive outings, electric Bayern Munich winger Kingsley Coman is in impressive form. In an exclusive interview with bundesliga.com, the 21-year-old France international talks about life under Jupp Heynckes, a three-way title race and the two upcoming matches against RB Leipzig. bundesliga.com: How would you describe returning Bayern boss Jupp Heynckes? Kingsley Coman: The coach is always open to discussion. He demands a lot and places a lot of importance on discipline and diligence. I really enjoy working with him. I now understand almost everything in German as well. I feel fully integrated. And I’m trying to repay the trust he has given to me by putting in good performances. bundesliga.com: Are you expecting to be in a three-way race for the title with Borussia Dortmund and RB Leipzig? Coman: At the start of the season I saw Borussia Dortmund in particular as our nearest rivals, but the last few weeks have shown that we’ll have to count on Leipzig again as well. They’re coping well with the new rhythm of playing matches every three days. They’re playing great football – including, among others, my former teammate Jean-Kevin Augustin, whom I played with in PSG’s youth team. As a result, the two upcoming games against them are all the more important. bundesliga.com: Will we be able to determine after those games what sort of shape Bayern are in? Coman: The matches against Leipzig are certainly two important tests for us. For a couple of games now we’ve noticed that we’re improving… but we also know that we can play even better. We are headed in the right direction, though. Leipzig will certainly demand a lot from us. I think we remember our last game in Leipzig on the penultimate day of last season. It was an unbelievable game that we won 5-4 with a goal just before the final whistle after trailing 4-2. The atmosphere in the ground was impressive. The fact that both teams are attack-minded could lead to two more spectacular matches. bundesliga.com: For a few weeks now you have been improving from game to game. Do you feel like you have truly arrived at Bayern? Coman: I feel like I’ve settled in Munich longer than that, but it’s clear that my own personal situation is different from a year ago. I knew that I had to simply get match practice to improve myself steadily and eventually to exploit my potential. That’s the case at the moment. But I also need to produce this improving form game by game. Coman: Last season two big injuries set me back, but now I no longer have any problems. I have no complaints at all. It was important that I was able to take a full part in pre-season training. Now I can play every three days without any problems. It’s a great feeling. My playing style requires me to be in ideal physical condition and for a few weeks now I’ve felt at 100 per cent. bundesliga.com: How can you improve your game? Coman: I can best demonstrate my strengths in one-on-one situations, but I also know that my finishing has to be better. But I’m working hard on it and that will pay off as well. bundesliga.com: What are your goals from now until the winter break? Coman: We want to secure Champions League and DFB Cup football for after the winter break and go into that period leading the Bundesliga. Quiz: How well do you know Bayern Munich? Take the test!